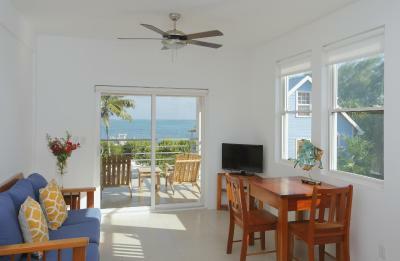 Lock in a great price for Weezie's Ocean Front Hotel and Garden Cottages – rated 9.4 by recent guests! Staff were all extremely friendly and helpful. Location is great. The staff were so friendly, accommodating and helpful. The property is neat, clean and we felt very safe. The pool is fabulous and the pier, kayaks, etc. were in great condition. We can't wait to return! The property was beautiful and included a lot of options for playing on the ocean. My favorite part though was that the room had a full sized coffee maker, not one of the tiny things you usually see. There was also a serve yourself coffee bar, which I did not try out as I prefer not to leave my room before coffee. Both the pools were also great to relax in. We had an amazing vacation! The staff was genuinely concerned that we had a wonderful time and was eager to help us with arrangements. It was a short walk along the beach into town or we used a golf cart all week to get around the entire island. I would highly recommend Weezies! Very clean , friendly staff, and the nicest place on the island. A very well kept and clean property run by some of the nicest folks you could imagine. Truly an inviting atmosphere both inside and outside. 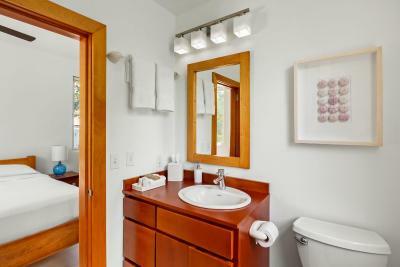 Well designed, clean, lots of toys available to use (bikes, paddleboards). Very friendly and helpful staff. The customer service was the best we had in Belize. The garden cottage was about 5 minutes from the beach but we liked that. It was incredibly nice and luxurious for a reasonable last minute price. The owner was super accommodating and willing the help with anything. We loved it and would highly recommend it!!! Such a beautiful property. Great amenities and the room was very clean. We liked how safe and taken care of we felt at the hotel. The view from the upper level room we had was fantastic. 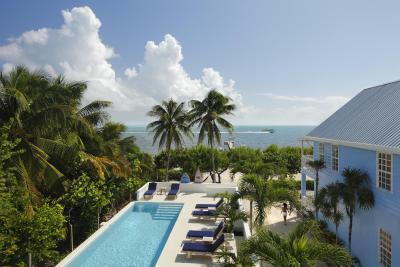 One of our best sellers in Caye Caulker! 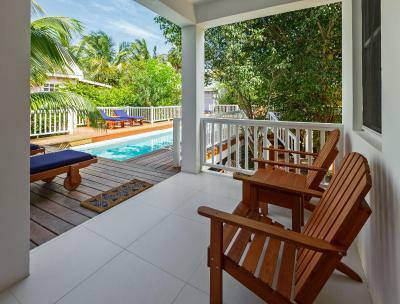 Weezie’s Oceanfront Hotel and Garden Cottages is a boutique hotel located on the eastern shore of Caye Caulker with views of the barrier reef. Free WiFi is available. 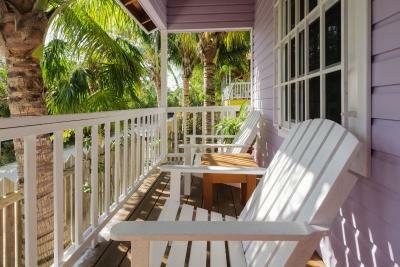 The cottages are located 2 blocks from Weezie's Oceanfront Hotel. All units have air conditioning and a flat screen TV. 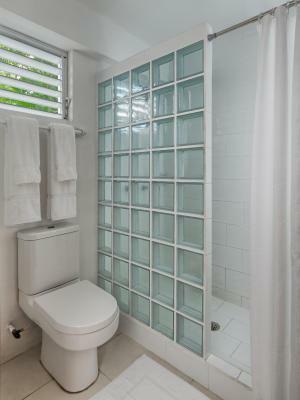 Also featured are beach towels, a hair dryer, laptop safe, water dispenser, ceiling fans and either a deck or patio. All units except the standard room have a full kitchen. The standard room has a microwave and fridge. 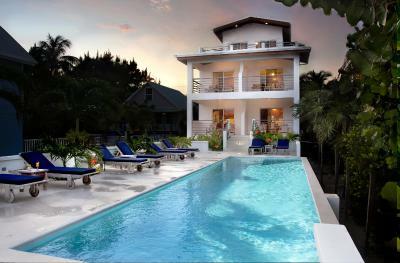 There are 3 pools, 2 on the oceanfront property and 1 at the cottages. 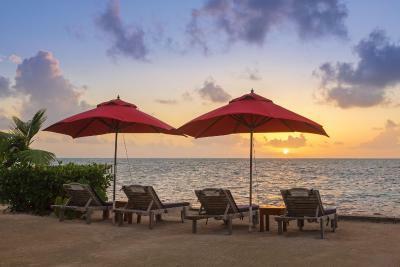 There are paddle boards, kayaks, snorkel gear and a canoe guests can use free of charge. Philip S.W. Goldson International Airport is 31 mi away. 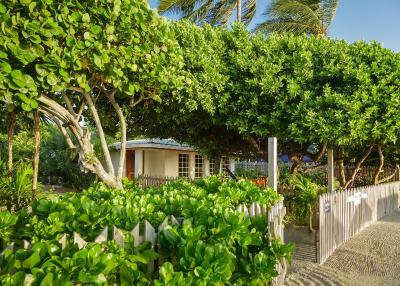 Multiple restaurants are offered within 2,300 feet of Weezie's Ocean Front Hotel and Garden Cottages. 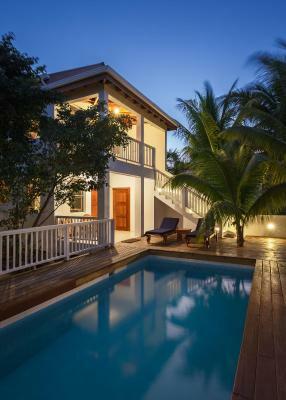 When would you like to stay at Weezie's Ocean Front Hotel and Garden Cottages? 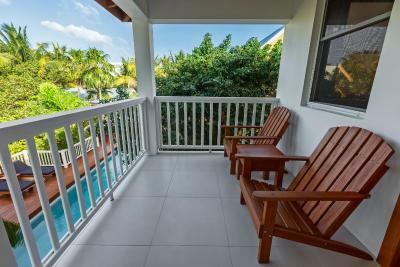 There are 4 ocean front suites each with a similar layout. 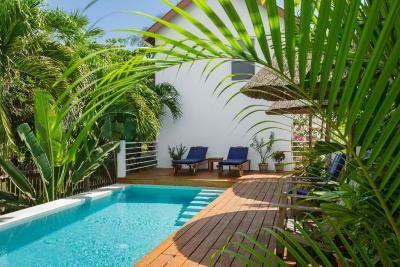 A bedroom with a queen bed, large bathroom, kitchen, dining and seating area and a spacious deck over looking the pool and ocean. 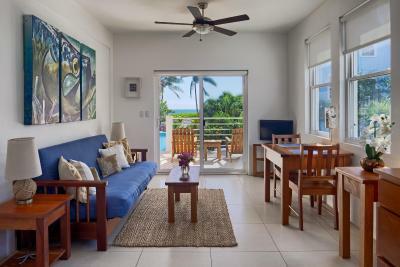 The space features high ceilings and large windows to take advantage of the nice views of the ocean and island. 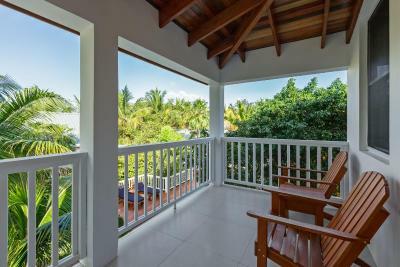 The King Suite is the Penthouse of the Hotel and occupies the entire top floor of the building with fantastic 360 degree views of the reef and Caribbean Sea. 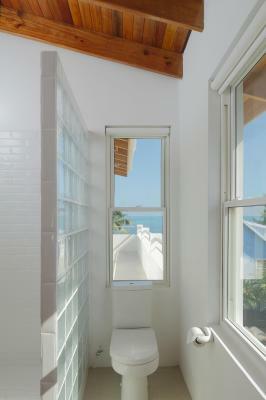 All three rooms in the Penthouse have views of the ocean. 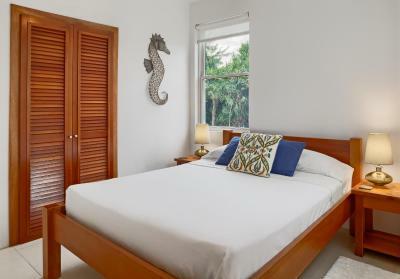 The bedroom has a King bed with fine linens. 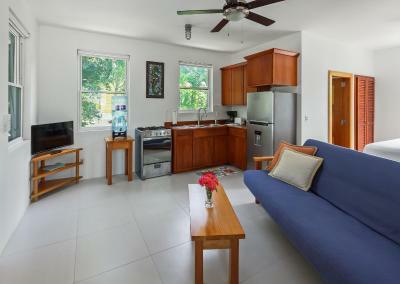 The spacious main room has a kitchen, dining area and sitting area. 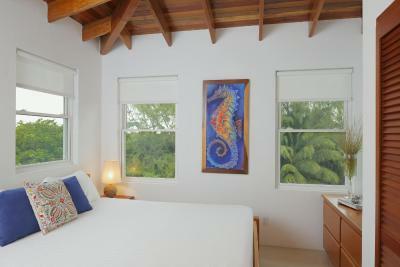 There is a vaulted ceiling made of hardwoods and 8 windows to take advantage of the views. 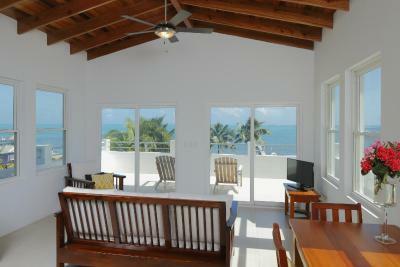 One of the best features is the large 10 x 24 ft patio over looking the sea. 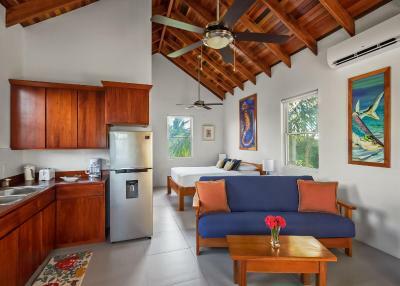 Basic room with a queen bed, full bath and dining table for two without ocean view. 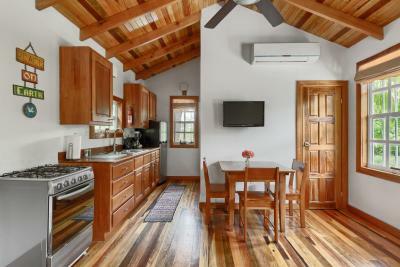 There is a fridge and microwave and the patio has two adirondack chairs. 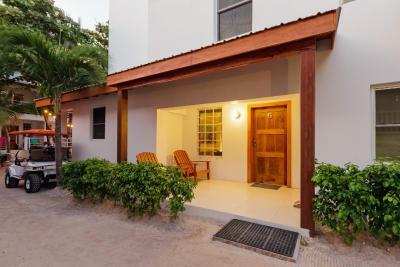 The Purple Cottage is located under a large fig tree and is a 1 bedroom home. 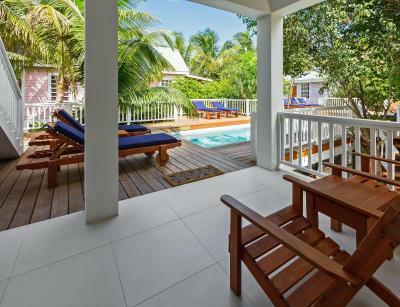 The cottage has an old time Caribbean feel with hardwood floors and exposed beams. The bedroom has a queen bed and the cottage sleeps 2. The kitchen is fully equipped. There is a front porch with 2 Adirondack chairs that over look the street. Please note this Cottage is located 1640 ft from the front desk. 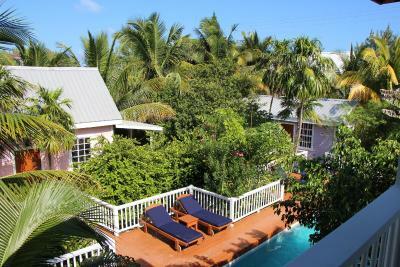 The Pink Cottage is tucked behind two large Coco Plum bushes and a pair of Palmetto Palms. The home has 1 bedroom, 1 bathroom and a loft which is accessed by a ships ladder. Both the loft and the bedroom have a queen bed and the unit sleeps 4. 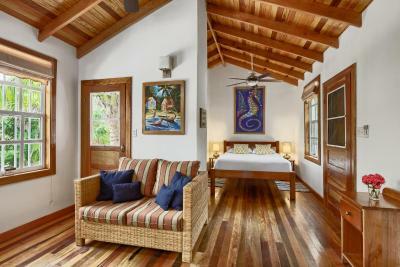 The cottage is made from local hardwoods and has an old time Caribbean feel. There is a front porch with 2 Adirondack chairs that over looks the garden. 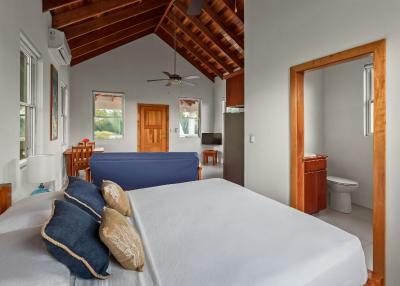 The Yellow Cottage features 2 bedrooms, each with a queen bed and a loft with 2 twin beds. The loft is accessed by a ships ladder. The common area has vaulted ceilings, a sitting area and a dinning table that seats 6. 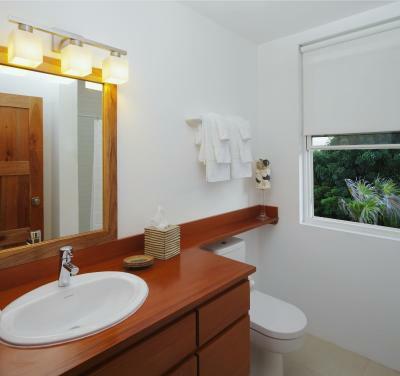 It is constructed in a traditional Caribbean style with Belizean hardwoods. The kitchen is fully equipped. 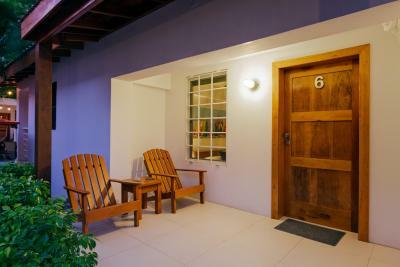 There is a front porch with Adirondack chairs that overlook the street. The studio apartments are in a building behind the main hotel. There is no ocean view but you are just 250 ft to the ocean. 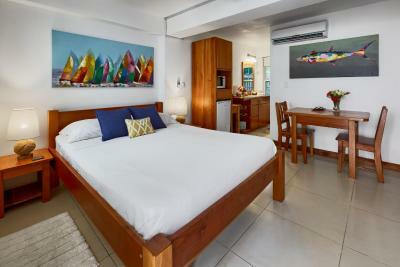 The studio has a queen size-bed, dining table for 2, stuffed chair, bath with shower and full kitchen. There is also an outside covered deck that overlooks the courtyard. The sleeping area is accessed by a ships ladder. 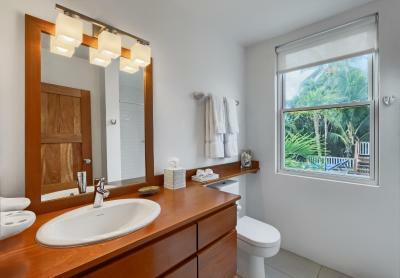 There is a full kitchen, dining table, living area, full bath with showers and a private deck overlooking a courtyard. There is no ocean view from this room. 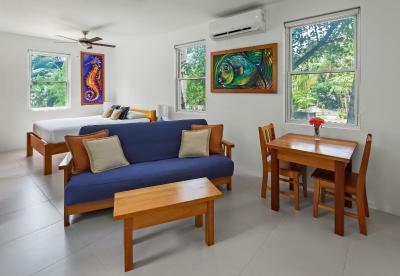 This studio has a queen bed, seating area with sofa, dining table with 2 chairs and a full kitchen. There is a front covered porch with 2 lounge chairs. 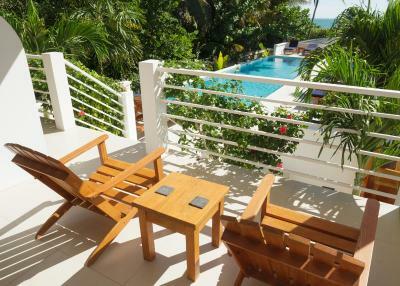 This suite is just in front of the pool on the beach level. It is the closest unit to the ocean. 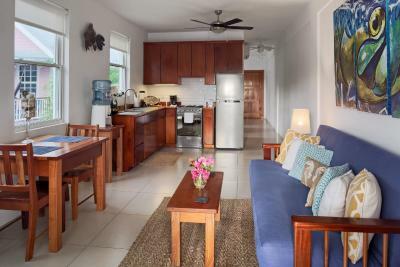 There is a full kitchen,dining table, couch and King bed with views of the sea. 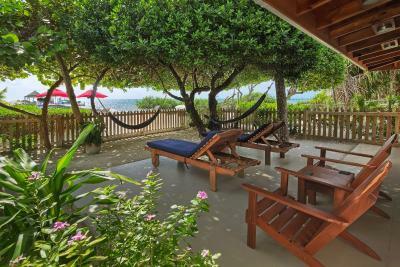 There is a patio in a private garden with 2 hammocks, flowering plants, 2 palms and shade provided by a canopy tree. Weezie's Ocean Front Hotel is on of the few hotels that have a pool, beach are and pier on the island. 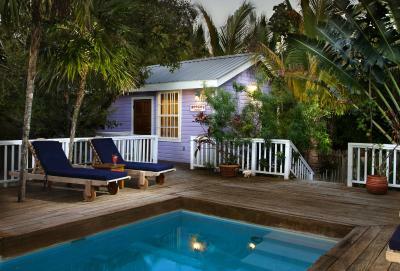 House Rules Weezie's Ocean Front Hotel and Garden Cottages takes special requests – add in the next step! 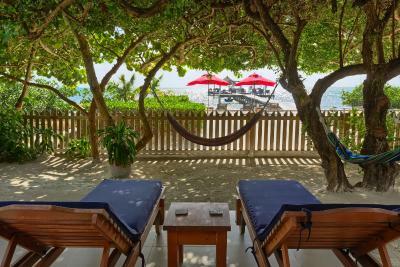 Weezie&#39;s Ocean Front Hotel and Garden Cottages accepts these cards and reserves the right to temporarily hold an amount prior to arrival. 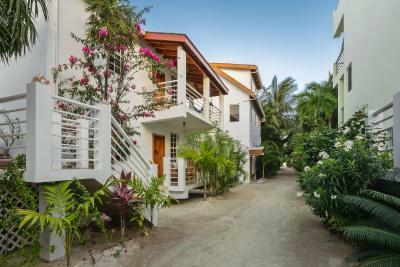 Weezie's Ocean Front Hotel and Garden Cottages accepts these cards and reserves the right to temporarily hold an amount prior to arrival. Please note the One-, Two-, and Three-Bedroom Cottages are located 1,650 feet from the Property Front Desk. We had been in touch with Tom to have someone come meet us at the nearby airport (they advertise airport shuttle service), but no one showed up, even though we indicated in correspondence that we had some luggage issues we needed help with. They also advertise that children cannot be accommodated at this hotel which is why we chose to pay their higher prices to have a kid-free place. 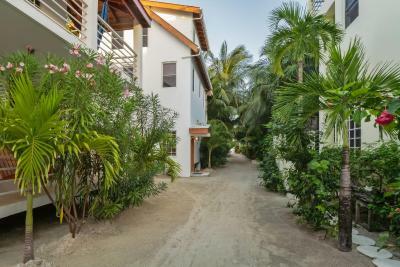 However, the neighboring resort, which is only separated from Weezie’s by the 10-foot wide common path that both places use as the main thoroughfare, does allow families, so you have no choice but to share common space with kids anyway, and deal with the noise, etc. We were not impressed! 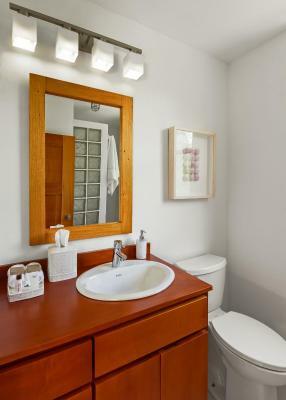 Clean and comfortable, close to the airport and an easy walk into town. Loved everything about the resort. Beautiful resort with helpful and welcoming staff. Barely any water pressure made showering difficult. Property is GORGEOUS and view couldn’t be better. As the hotel is slightly out of the main town, it would be nice if the bikes could be included. I would be ok with putting a deposit or paying a flat rate for the week. Not a major issue but just a thought. It was great to have a stocked beer fridge at the check-in counter but consider included juice for purchase. Again, not a deal breaker but would be a good idea! The staff were very friendly but also respected our time and space by being available when we needed something but never pushing a sale (excursions, restaurants, etc). We loved the 24h coffee! It was basic but it was so nice to stroll over and grab a cup of coffee hassle free each morning and sit on our porch or on the pier. The welcome beers were a nice touch as well. There was also a resident kitten (Max) and it was nice to see the staff looking after him. We also loved how quiet the property was. Slightly out of main town and a peaceful vibe. 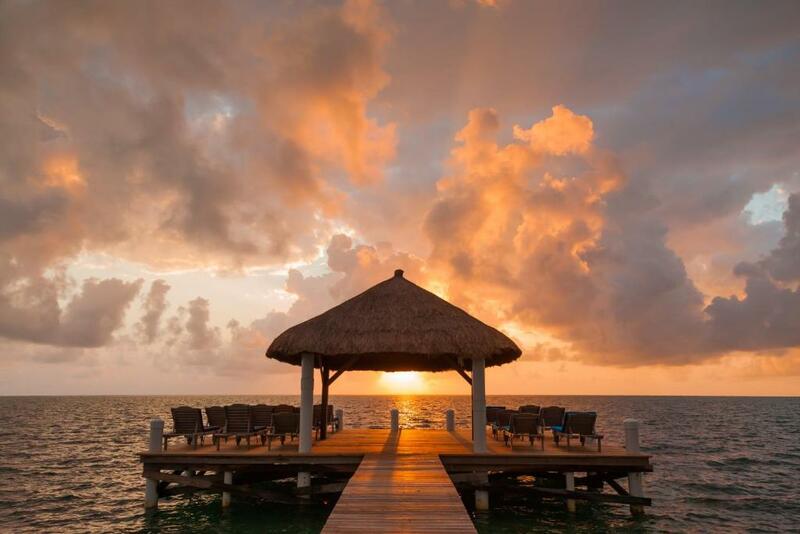 Great for lounging by the pool and on the pier. The room and grounds were kept super clean. 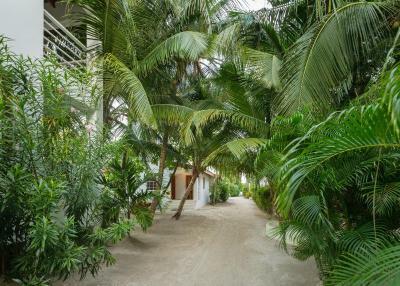 The staff were super helpful and let me take a shower on the property after I had checked out and after a snorkel trip which was super nice.